In some ways, the concept of truth seems too obvious to bother discussing. In other ways, it seems too elusive to pin down, which can lead to the same conclusion: why bother? 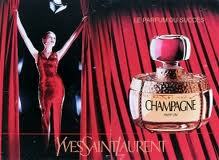 then it was produced by the house of Chanel. then it is a genuine Chanel perfume. Which of these statements are true? These are conditional statements, readily recognizable by the if-then structure. If the first part (the antecedent or "if clause") of a conditional statement is true, then the second part (the consequent or "then clause") must be true in order for the statement as a whole to be true. If the antecedent of a conditional statement is false, then the consequent could be either true or false, and the statement as a whole would still be true. In other words, the falsehood of the antecedent automatically guarantees the truth of the conditional statement. The truth conditions on a conjunction (joined by and or the ampersand) are simple. Both of the conjuncts must be true in order for the statement as a whole to be true. If all of this seems quite boring and trivial to you, that is probably because working out truth conditions on such logical statements is a far cry from talking about truths in reality. According to one theory of truth, the correspondence theory, a true statement is one which corresponds to a state of affairs. We have an intuitive grasp of what truth is, but our criterion for denying that something is true is that it contradicts something else which we know or believe to be true. Reformulation may on its face seem to be a good example. 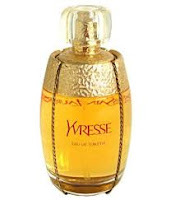 A perfume house may deny that they reformulated a perfume, and they may be telling the truth, or they may be lying, under the assumption that they have a right to say whatever they like about their own perfumes. Not so anymore! These days, the list of ingredients goes on and on and on. So just finding that the labels read differently does not necessarily mean that the perfume was prepared using a different formula. Sometimes houses simply contradict themselves. 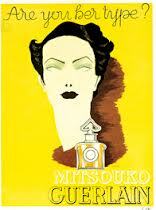 A recent example would seem to be Guerlain's announcement that they would be bringing Mitsouko back to its former glory. If they earlier claimed that the perfume was reformulated in order to comply with IFRA restrictions, then something has to give. Either it was never necessary to reformulate the perfume in the first place, or else it is impossible to bring Mitsouko back to its former glory, given the reigning IFRA restrictions, which have become more not less strict over the last few years. The law of non-contradiction is key here. We reject the truth of a claim by showing that it is self-contradictory or implies something which we know to be false. The law of non-contradiction is the skeptic's most faithful ally, and the only inviolable principle. The skeptic may question every other statement ever made by anyone, but the basis of his rejection of some statements and theories is that something cannot both be and not be in the same way and at the same time. Is reformulation a kind of self-contradiction? The answer to this question appears to be: No. Although we may bemoan reformulation (a few brave souls, going against the current trend, have argued that reformulations are often improvements! 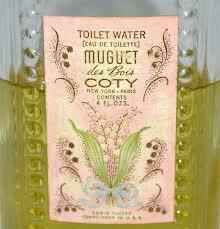 ), it is not necessarily a contradiction for a company such as Coty to fob off a vastly inferior version of Muguet des Bois under the very same name as the perfume formerly known as Muguet des Bois. It may be that, in the case of perfumery, the truth conditions are slightly different than we have come to believe in the case of most objects and things. The prevailing convention regarding naming of perfumes (given rampant reformulation) is that the company which produces a perfume gets to decide what goes in it, and they can change the ingredients at their caprice—for any reason whatsoever. Two things are identical if and only if all of their properties are the same. 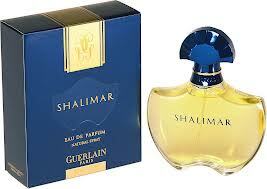 In perfumery, the criteria are more lax: "Shalimar is Shalimar" just means that Shalimar is still created by Guerlain. That's it. 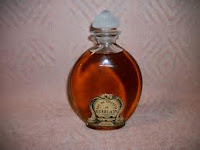 They can pour whatever they like in the bottle and call it Shalimar, and their having done so is the necessary and sufficient condition for its being Shalimar, even though it may smell nothing like the original launch of that perfume. When we feel cheated in a case of reformulation, it is because we have not fully appreciated that the house has the final say on its own creations. It's a godlike power, in a way. The house giveth and the house taketh away, and there is absolutely nothing that we consumers can do about it—beyond voting with our wallets. That is the extent of our power in this realm. 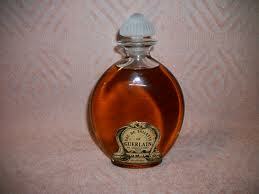 A recent example would seem to be Guerlain's announcement that they would be bringing Mitsouko back to its former glory. If they earlier claimed that the perfume was reformulated in order to comply with IFRA restrictions, then something has to give. Either it was never necessary to reformulate the perfume in the first place, or else it is impossible to bring Mitsouko back to its former glory, given the reigning IFRA restrictions, which have become more not less strict over the last few years. You missed another possibility (or two), but if you're so "educated" you figure it out.